Chop almonds and cashew nuts. Generally, Coconut Laddus are made on festivals. These are very simple to make. 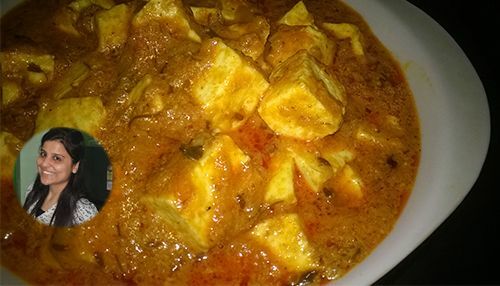 Take a heavy bottom pan and boil milk and coconut over high heat,stir occasionally.Add cardamom powder. After it comes to boil reduce the heat to medium and cook until all the moisture is absorbed. Now add sugar and cook (keep stirring), until you get a thick consistency. Turn off the heat. Now add all dry fruits. 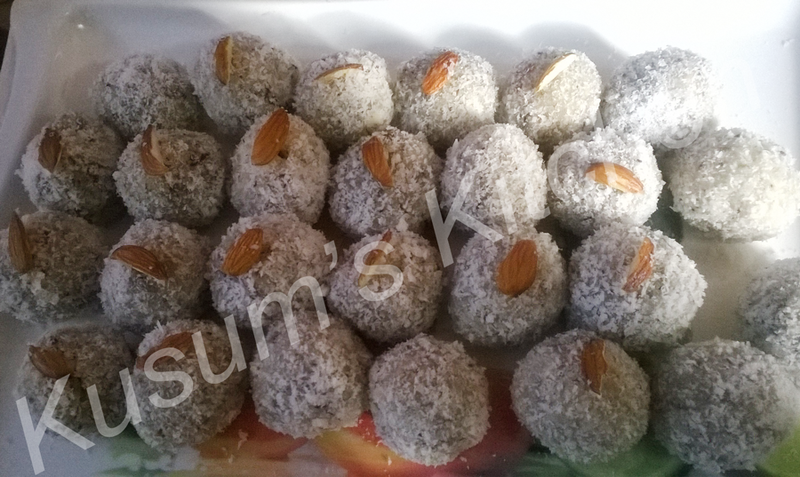 Coconut laddu mixture is ready. Spread this mixture on a plate and let it cool. Now take about 2 tablespoons of coconut mixture on your palm. Make a smooth and round ball. Repeat this process with rest of mixture. Garnish with sliced almonds. Laddus are ready to serve. Serve and enjoy.